Fly fishing is a type of fishing method that simulates the use of natural instincts to catch a fish. Artificial flies are placed at the end of a weighted line. These lures then land on the surface of the water, replicating how a normal fly would behave. Different casting techniques are used for the type of water being fished and the species being targeted. Fly fishing can be done in freshwater or saltwater locations. In the U.S., the fly fishing industry distinguishes cold-water fly fishing from warm-water fly fishing. Fly fishing is an affordable recreational activity that everyone in the family can enjoy. 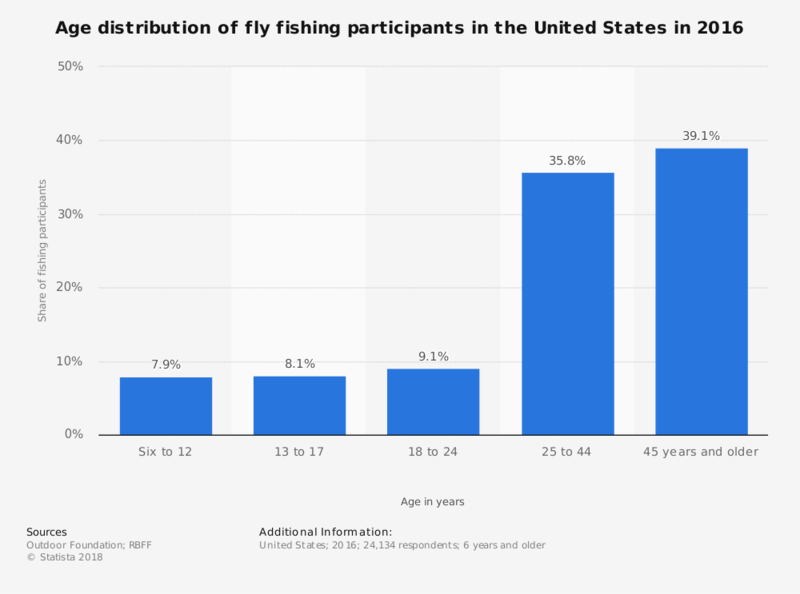 Although men make up a majority of anglers, the number of women who are getting involved in fly fishing is rising dramatically. The participation rates of women in fly fishing is up 25% since 2006. This industry is unique in the fact that it is a mostly offline venture that happens at local shops. Although there is a small and growing e-commerce presence for the industry, online sales are primarily generated by the largest brands in the fly fishing industry. The average person goes to the location where they want to fish, purchases supplies locally, and maintains an inventory of flies and supplies they keep for future fishing efforts. 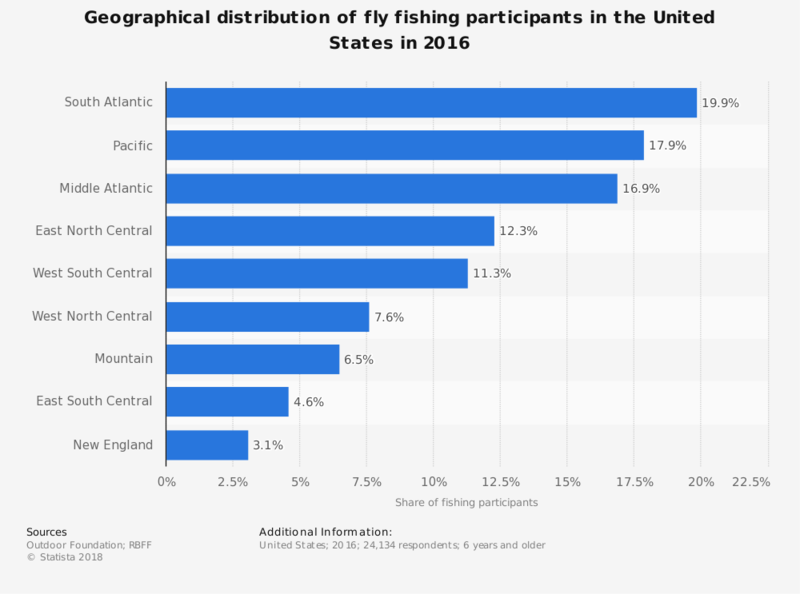 About 21 million people are thinking about getting involved in fishing in the next year, and that’s just in the United States. 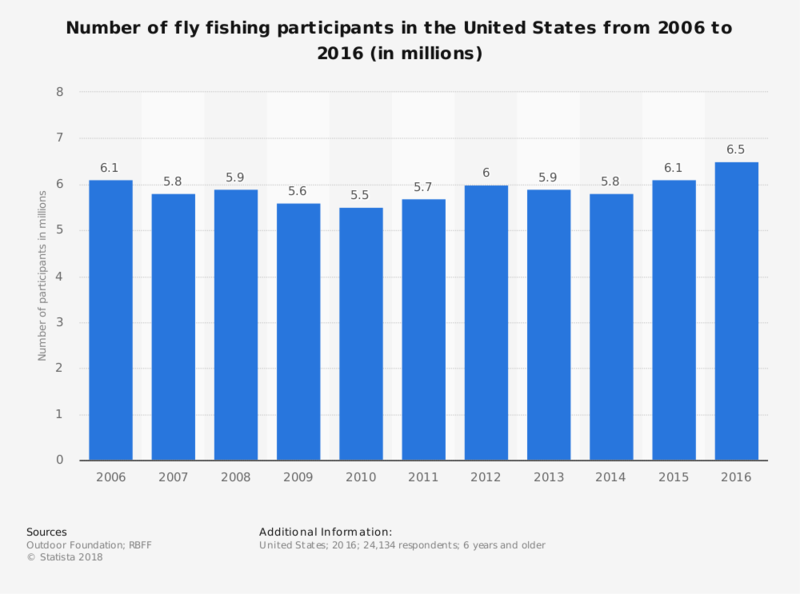 That means the fly fishing industry has a lot of potential for growth, even if it is only a small portion of the overall fishing industry.